Since 2013, the Cheese train has been looking into the secrets of Switzerland’s most popular dairy product. In wintertime, a special coach of the Montreux–Oberland Bernoise railway sets course for the Pays-d’Enhaut in the Lake Geneva region. 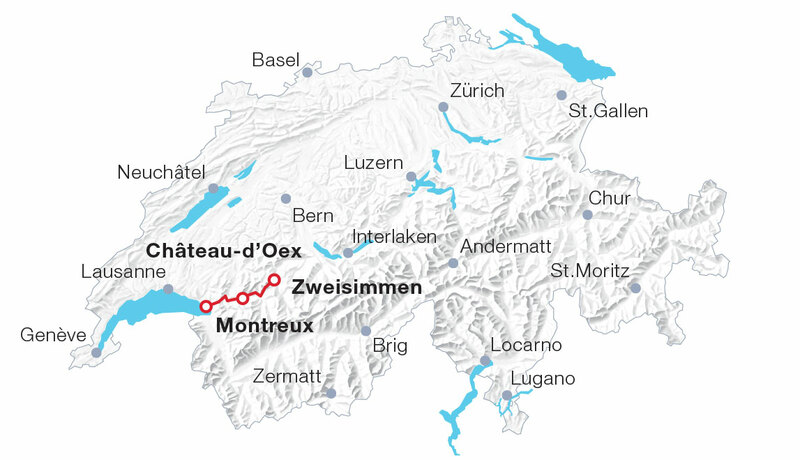 Every Thursday to Sunday, the Train du Fromage, or Cheese train, runs between Montreux/Zweisimmen and Chateau d’Oex in the Lake Geneva region. At Chateau d’Oex, travellers first find out how 200 litres of milk are turned into “Le Chalet Bio” cheese. Afterwards, a delicious bio fondue is served at the restaurant “Le Chalet”. Finally, the Museum du Pays-d’Enhaut delights visitors with its unique collection of intricate, traditional paper cuttings. The Cheese Train runs from January to April. All connections are available at the MOB timetable. Additionally a surcharge for the seat reservation and additional services applies. 36 seats per day are available (no seat reservation for the journey back to Montreux). Offer available for groups of ten or more persons throughout the year.